Harmonious, Poetic, and Emotionally resonant, settle in for a ride through the turbulent upheavals of the 60's, and the 70's through the music of the duo who's voices helped to shape them. 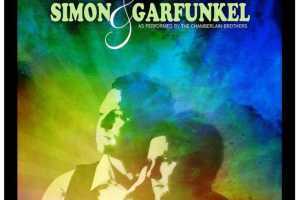 Homeward Bound: The Music of Simon & Garfunkel performed by the Chamberlain Brothers will envelope you in the nuances and power of some of the most unforgettable music of all time. Join us for an evening together, and remember why this music still resonates today.